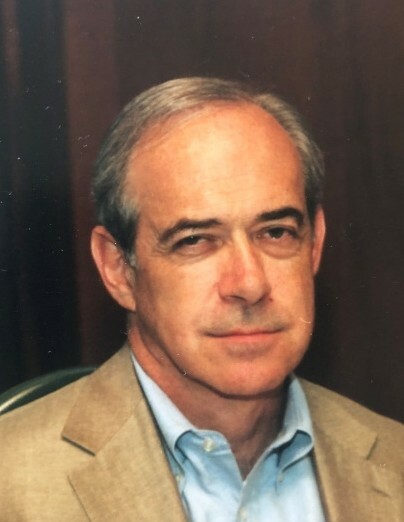 Charles Benard Jacobs, 76, passed away peacefully on Wednesday April 3, 2019 after a battle with Alzheimer’s disease. Known as Charlie to his friends, he was born in Manhattan, grew up in Queens and lived most of his adult life in Morris Plains and Westfield, NJ. Charlie served in the National Guard, graduated college with a BS in Accounting from Fairleigh Dickinson University and had a very successful career in business and finance while maintaining a private practice in Morristown, NJ. Charlie was a member of AICPA for over 40 years. Charlie was a deeply thoughtful and kind man who had a passion for anything with a motor. He loved cars, cherished his Lionel train collection, but his favorite way to spend his time was on his boat especially with friends and family around. He always had time to lend an ear and give advice and support to his beloved sons, wife, step-children, family, friends and neighbors. He will be remembered as a loving husband, devoted father, a good friend and successful business man. Charlie was predeceased by his son Jason Jacobs, father A. James Jacobs and mother Annette Guttenberg Jacobs. Charlie is survived by his loving and devoted wife Charlene Jacobs, his son Seth Jacobs, daughter in law Jeanne Jacobs, daughter in law Jennifer Jacobs Deutsch, step daughter Karin Cabarle, step son Kenneth Cabarle, step daughter in law Carla Cabarle, grandchildren Zoe, Jacqueline, Kevin, Elizabeth, Rebecca, Cassidy, Bryce, Grace, Jordan, great grandchildren Liam and Austin, first wife Marilyn Jacobs and many nieces and nephews. The children affectionately referred to Charlie as Poppa. The family wishes to thank the staff at the Terraces. In lieu of flowers, the family is asking donations to be made in Charlie’s name to the Alzheimer’s Association. A memorial service to honor Charlie’s life will be held at Higgins and Bonner Echo Lake Park Funeral Home in Westfield, NJ on Monday April 8th at 11am.